The Cafe Barrier is an indoor/outdoor modular display system includes heavy-duty stainless steel posts, base and 59" rails. 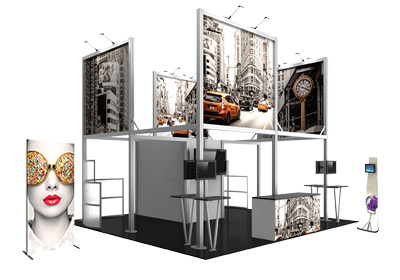 This display system is a stylish way to define areas or direct traffic flow inside or outside restaurants, bars, retail establishments, airports, museums, casinos or at tradeshows. Unit kit, extension kit and individual components available.